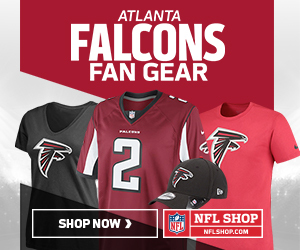 This entry was posted in 2018 NFL Draft, Atlanta Falcons, NFL, Rise Up and tagged 2018 NFL Draft, Atlanta Falcons, Calvin Ridley, Deadrin Senat, Falcons, Foyesade Oluokun, Isaiah Oliver, Ito Smith, Josh Lederle, Rise Up Reader, Russell Gage on June 11, 2018 by Josh Lederle. This entry was posted in Atlanta Falcons, Falcons, NFL, Rise Up and tagged Atlanta Falcons, Damontae Kazee, Eric Saubert, Falcons, Ito Smith, Kirk Whitmire, NFL, Plan D, Rise Up Reader on May 9, 2018 by corywoodroof47. This entry was posted in 2018 NFL Draft, Atlanta Falcons, Falcons, NFL, Rise Up and tagged Atlanta, Atlanta Falcons, Calvin Ridley, Dan Quinn, Falcons, Falcons 2018 Draft, Kirk Whitmire, Rise Up Reader, Thomas Dimitroff on April 30, 2018 by corywoodroof47. This entry was posted in Atlanta Falcons, Falcons, NFL, Rise Up and tagged Atlanta, Evan Birchfield, Falcons, Falcons uniforms, Rise Up Reader on April 25, 2018 by Evan Birchfield. This entry was posted in 2018 NFL Draft, Atlanta Falcons, Falcons and tagged 2018 NFL Draft, Atlanta, Falcons, Mike Lederle, Rise Up Reader on April 24, 2018 by Mike Lederle. Mike and Cory are back in action for their first podcast of the 2018 offseason — we’ve missed you! We’ve grown long beards and have learned to live off the land. This entry was posted in 2018 NFL Draft, Atlanta Falcons, Falcons, Podcast, Rise Up and tagged 2018 Falcons draft, 2018 NFL Draft, Atlanta, Atlanta Falcons, Cory Woodroof, Falcons Draft, Falcons podcast, Matt Karoly, Michael Aprile, NFL podcast, podcast, Rise Up Reader, Rise Up Reader Podcast on April 23, 2018 by corywoodroof47. This entry was posted in 2018 NFL Draft, Atlanta Falcons, Falcons, NFC, NFC South, NFL, Rise Up and tagged 2018 draft, Falcons, Gabe Gonzalez, NFC South, NFL Draft, Rise Up Reader on April 23, 2018 by corywoodroof47. This entry was posted in 2018 NFL Draft, Atlanta Falcons, Falcons, Rise Up and tagged Devonta Freeman, Falcons, Gabe Gonzalez, Rise Up Reader, Tevin Coleman on April 21, 2018 by corywoodroof47. Mock drafts are pointless endeavors made to waste time. Here is my second attempt for the Falcons. This entry was posted in 2018 NFL Draft, Atlanta Falcons, Rise Up and tagged Atlanta Falcons, Atlanta mock draft, B.J. Hill, Cory Woodroof, Falcons, Falcons mock draft, Rashaan Evans, Rise Up Reader on April 10, 2018 by corywoodroof47. The offseason is in full swing, with trades (the Chiefs got absolutely fleeced), mock drafts, and your favorite draft “expert” giving Lamar Jackson a second-round grade. The Atlanta Falcons are coming off an above average 10-6 redemption season that fell flat on its back on the two-yard line in the Divisional Round of the playoffs. This Super Bowl-depraved team is starving for a ring, and so is the rest of the fan base. Maybe 2018 will be the year? This entry was posted in Atlanta Falcons, Falcons, Falcons Draft, Free Agency, NFC South, NFL, Rise Up and tagged Andre Roberts, ATL, DaeSean Hamilton, Devin Fuller, Falcons, Falcons wide receivers, Gabe Gonzalez, Javon Wims, Julio Jones, Justin Hardy, Marvin Hall, Mohamed Sanu, Nick Williams, Rise Up Reader, Taylor Gabriel, Tre'Quan Smith on February 28, 2018 by corywoodroof47.